Everyone needs to use Microsoft Word for something. Here are the tips and tricks you might have missed to speed up your workday. The toolbar at the bottom of the document is useful. When you open Word, in the home ribbon, you can see a series of style options. These let you quickly change the font, colour and layout of the document. You can expand the list and see more options. This is a great way to quickly make your document look professional. You can have multiple documents open at once. The quickest way to get a new blank document is to hit CTRL + N. If you want to apply a template first, click the file ribbon and then click New. Then click the theme you want. You can also save your own theme. 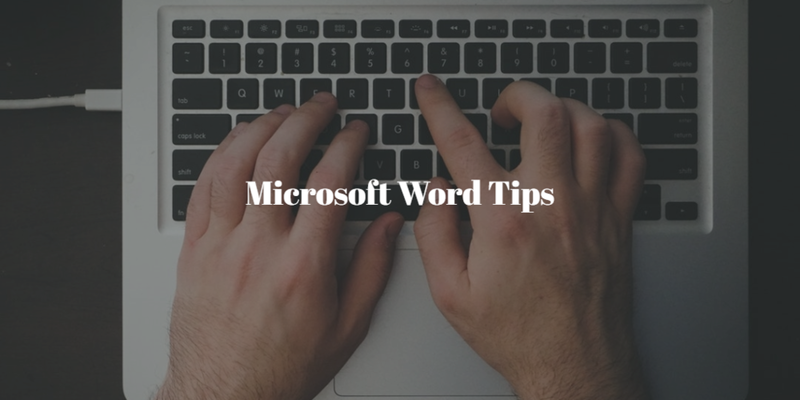 If you have multiple documents open at once, you can close one by hitting CTRL + W.
If you want to change a piece of text you may need to select it, this can be done with the mouse or by holding shift and an arrow key. Hitting CTRL + B will turn on Bold, CTRL + U turns on Underline, and CTRL + I make the text Italic. Sometimes you need a sub script or superscript. For Squares in maths for example. CTRL + Shift + =, Superscript CTRL + =, Subscript. Remember that the latest versions of Microsoft Word are not only on Desktop. Office 365 features a Web, iPhone and Android version of Microsoft Word. If you want to know more about Office 365 or any other IT service, Contact Us Today! The Bytek Blog is like your IT Helpdesk int he cloud. Looking for an experienced Helpdesk for IT Support? Get Next Generation VoIP, do more with your phones and save money! Worried about Security? Want to make sure your IT is working correctly? Our Complete IT Audit will help.